This gold medal was awarded as a prize in the annual poster competition held by the Massachusetts Society for the Prevention of Cruelty to Animals (MSPCA) and the American Humane Education Society (AHES). Its recipient, Arnold Johnson, was awarded the medal in 1936 for his winning poster design. 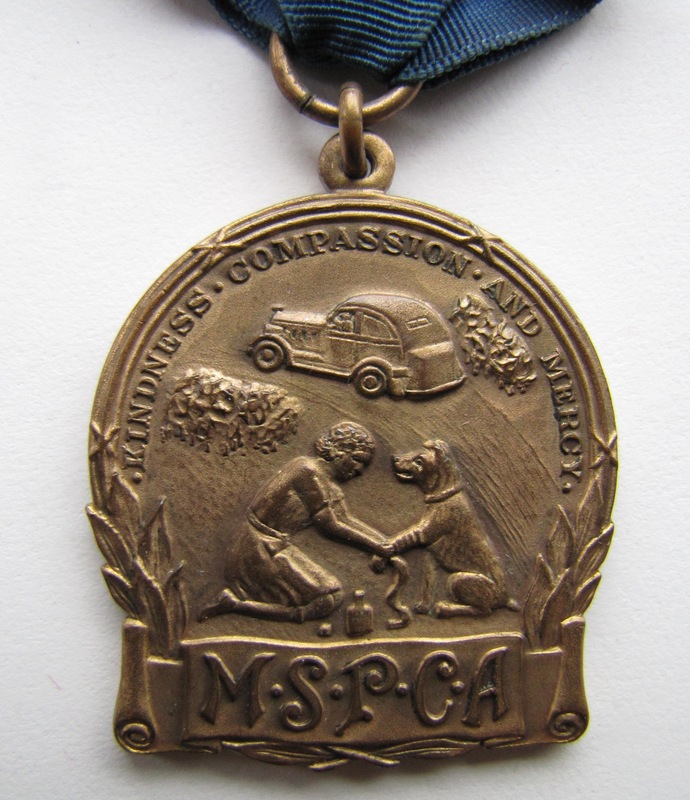 Mr. Johnson recently donated this medal to the MSPCA Archives project. 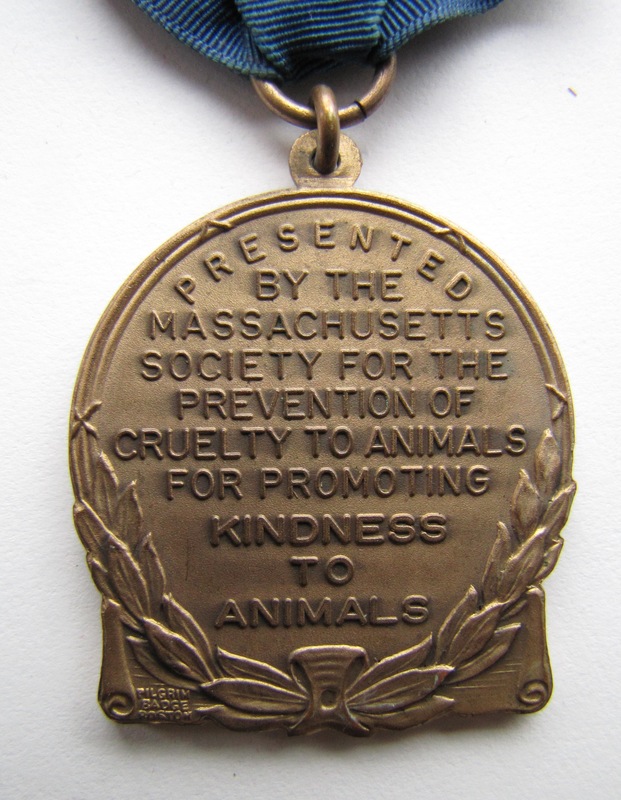 Early 20th century medal from the Massachusetts Society for the Prevention of Cruelty to Animals, front. Collection of MSPCA Angell. Early 20th century medal from the Massachusetts Society for the Prevention of Cruelty to Animals, back. Collection of MSPCA Angell.